Granite is a cheaper alternative to marble and is notable for its strength and beauty. It is one of the toughest rocks in the world, making it a popular choice for countertops. Educating yourself about the cost and advantages of granite will help you decide whether it's the right choice for your home. Granite is most commonly used on kitchen counters where food is prepared. It is easy to clean, resistant to stains and looks good. A slab of granite is cut, treated and polished until it's smooth and ready to be cut into a countertop. No two stones in nature look exactly the same, so granite countertops have a unique design. No two countertops will look the same, even if the same color is used. The types of granite are mined from different locations around the world and, therefore, vary in price based on location and how common each piece is. Granite is available in a moderate selection of colors. Neutral colors are most common, but it also is available in a few colorful shades, such as red, green and blue. 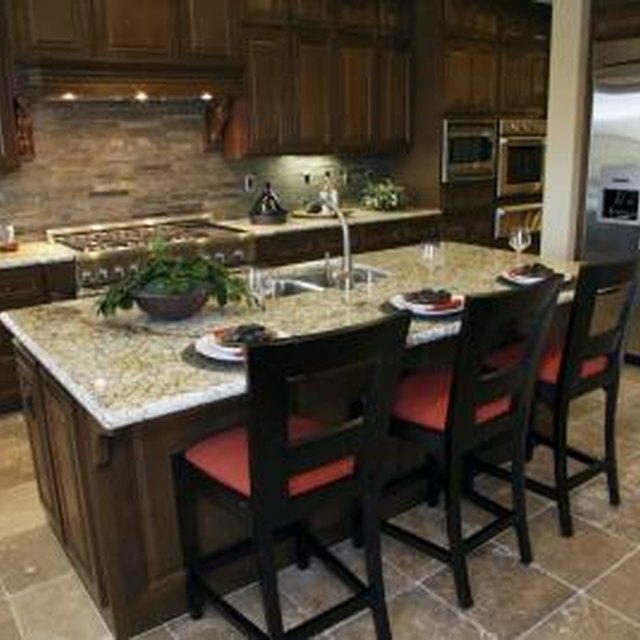 Granite has several advantages over other countertops. Because granite is so strong and durable, it will last for years with little effort on your part. Cleaning granite is as simple as wiping it down with a wet washcloth. The granite slabs are sealed to prevent staining and this clear finish is what makes them so easy to clean Granite countertops also add to the resale value of your home, according to a blog by Tammy Vertrees of Coldwell Banker Ponderosa Real Estate. Granite countertops are affected by acidic home cleaning products, which can eat away at the polished surface. Homeowners should use neutral cleaning products when washing counters, or stick to soap and water The color choices are also more limited than other types of counters. Variety is available but is limited to the colors of the granite found in nature. Granite countertops must be installed by a professional, therefore, you will have to pay for labor costs in addition to the cost of the product. According to Reader's Digest, granite countertops range from $75 to $105 dollars per square foot after the cost of installation has been added. This is higher in price than wood, tile or laminate countertops and may discourage some homeowners from purchasing granite. What Can I Use to Polish Marble?